Joan Countryman grew up in Philadelphia, Pennsylvania, the daughter of William Cannady, a public school teacher and administrator, and his wife, Virginia. The Cannadys taught their children and grandchildren that “They can steal your money, but not your education,” a conviction that led them to put schooling first on the family’s list of priorities. 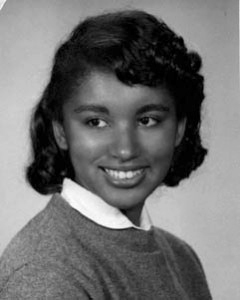 Joan entered Germantown Friends School as a third grader in 1948 and was the first African-American graduate of the school. Ms. Countryman received her B.A. from Sarah Lawrence College, a Master’s from Yale University, and studied at the London School of Economics as a Fulbright Scholar. In 1970 she returned to Germantown Friends and served there for 23 years as a mathematics teacher and department head and, from 1989 to 1993, as Assistant Head for Academic Planning and Director of Studies. She was then appointed Head of Lincoln School in Providence, Rhode Island, a position she held for 12 years until her retirement in 2005. From August 2006 until March 2007 Joan Countryman was a consultant and Interim Head of the Oprah Winfrey Leadership Academy for Girls in South Africa. From August 2007 until June 2008 she led the Atlanta Girls’ School in Atlanta, Georgia. In retirement, Ms. Countryman serves on a number of nonprofit boards, including Germantown Friends School, Sarah Lawrence College, Simons Rock College, and in Rhode Island, the Paul Cuffee School, Rhode Island Public Radio, Trinity Repertory Company, and Women and Infants Hospital. She and her husband, Edward Jakmauh, an architect, live in Providence and Philadelphia. 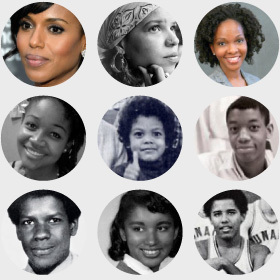 They have two children and four grandchildren, all Prep School Negroes.